from Ikea, and hideous herbal liqueur shots. Even though it looked like Russia might pip us to the post, Sweden won! love reading about trips away. Recipe-wise, I’ll be sharing smoothies, salads and picnic items. in a hoodie, the temps will soon be climbing!). everyone is ready to embrace a few changes. Outdoorsy posts – parks and fields and meadows, oh my! Netflix marathon, those two long weekends are full of possibilities! Similarly, any inspiration for half-term will be a great thing for parents looking forward to a week of fun at the close of the month. above, there are also lots of food based events for bloggers who write on this. which seems like a truly winning combination. London Wine Week – I’m looking forward to seeking out a few events! to look forward to as well. The city has something for everyone! From May 3rd London Craft Week will take over the city, showing off the best of the city’s artisans and creators at venues across town. On the weekend of the 7th & 8th pet lovers can head over to the ExCel centre for the National Pet Show. The warmer weather means that there are more and more open air shows to enjoy, with the season starting in May at venues such as the Regent’s Park Open Air Theatre (I can’t wait to head over there to see Jesus Christ Superstar in July!). On the 15th, Greenwich Peninsula will host the Urban Village Fete, offering a quirky twist on the countryside favourite. From the 24th-28th May the RHS Chelsea Flower Show (a perennial favourite) will be in bloom – always a gorgeous day out! And last but not least, on the last weekend of the month the ExCel plays host to the MCM London Comic Con – the place to be for all your fandom fun. 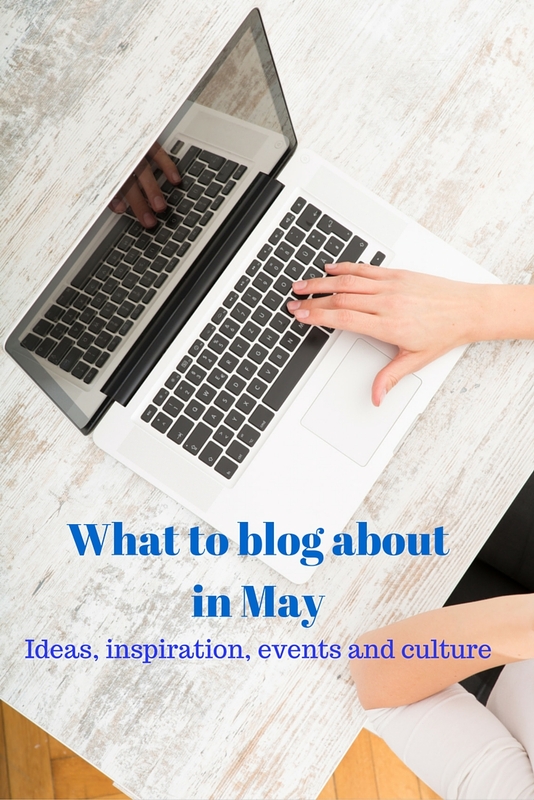 to in May, but I hope you’ve found some inspiration here for your May blogging.